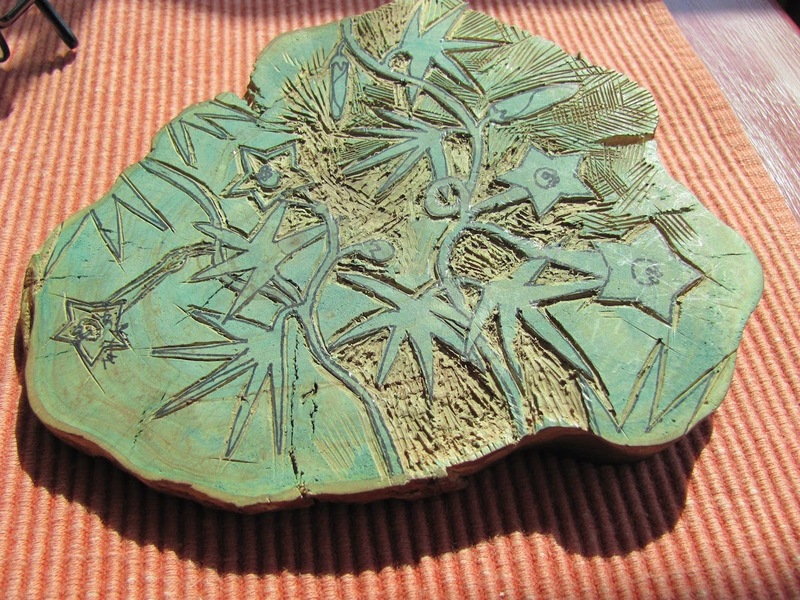 Moku Hanga-color woodblock print. 5.5" x 15.5"
Two on Tosa Hanga Natural Washi (a 50% Thai Kozo/50% Sulfite) paper that I got from Hiromi Paper in LA. on my last trip to the US. The other two are on a lightweight mixed kozo, hemp and pulp paper I found in an art store in Santa Cruz. I sized it and it prints reasonably well--certainly good for a proofing paper and if I mount the finished print it will look really nice. These were quick proofs with almost no priming of the blocks so they're each a bit different with more or less bokashi and more or less layering to the tree shapes. A little more bokashi (gradation printing to the sky) and a crooked chop. It will be a bit before I can get back and print a real edition. That's ok as I want to think about the colors a bit and try to get it a little less fussy and a little less pretty. 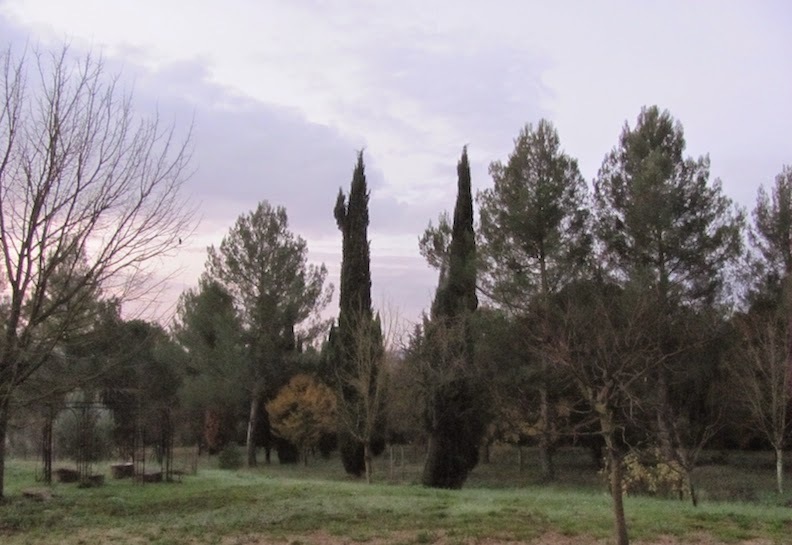 These are supposed to be Winter Cypresses and I want the mood a little more somber. The printed keyblock. This will be used to carve the color blocks. I started working on this little print last week, hoping to start and finish it during my 3-day demo at the Japanese festival, but I ended up printing a lot, but carving only a little so I've taken the blocks to my studio to work on them and I'm just about ready to start printing. 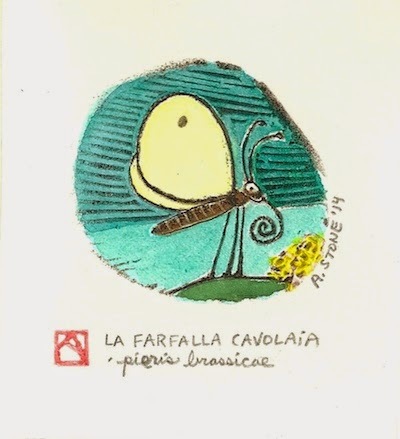 It's based on a little quick doodle of some imaginary trees--but it's not really all invented. 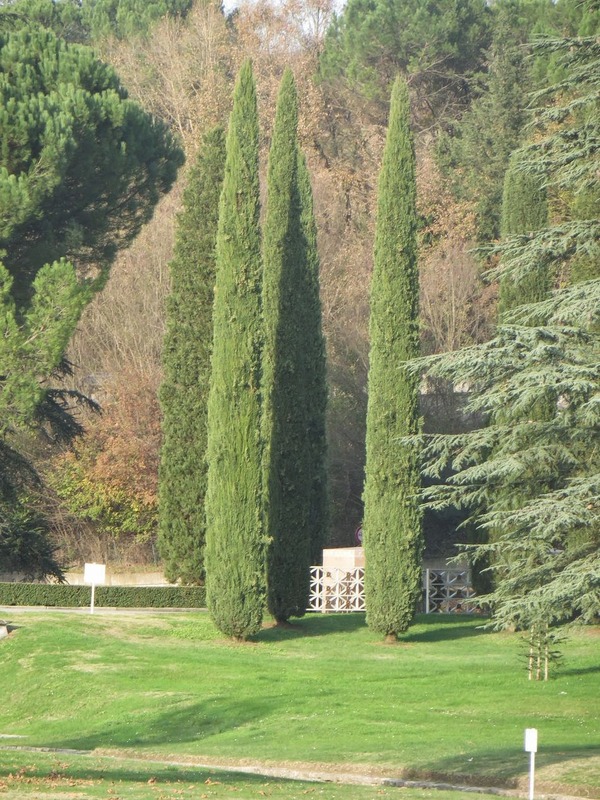 We're surrounded by cypress trees and they are a part of the landscape, both real and symbolic and although they are not native to Italy, they are almost emblematic of the Tuscan countryside. 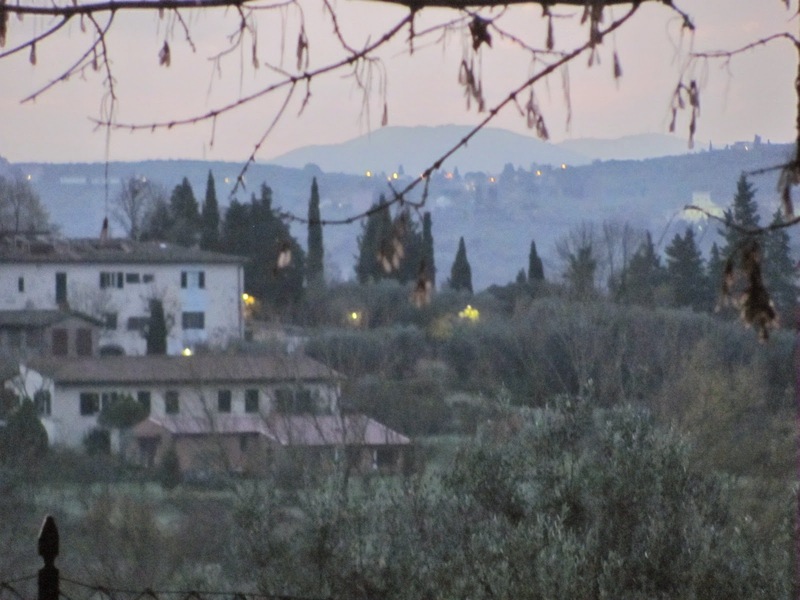 Today we drove to Panzano in Chianti and I took my sketchbook and camera. 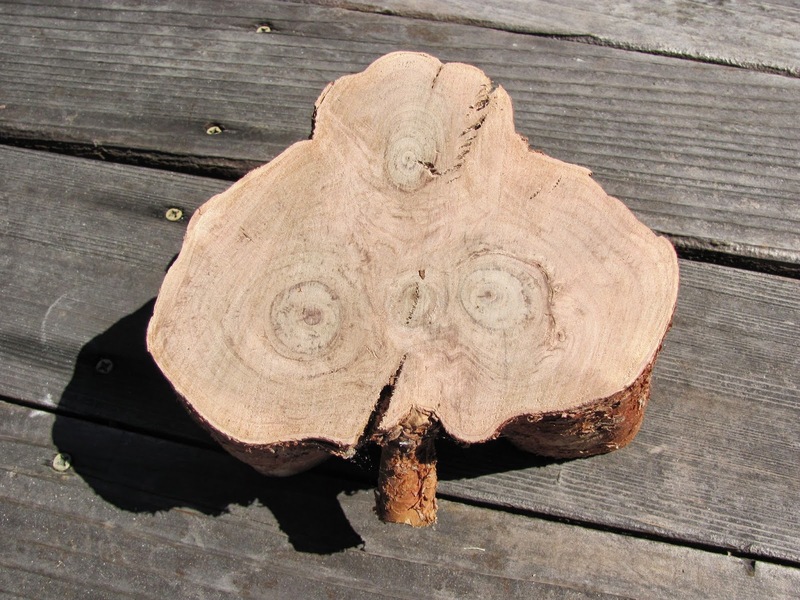 I have three blocks carved and wanted to look at some real trees before I proof the blocks I've cut or carve any more. This was meant to be a quick study--carved and printed loosely--and I'll have to try to navigate between the competing urges to keep the simplicity of the gesture or to add more detail and complexity through additional blocks. 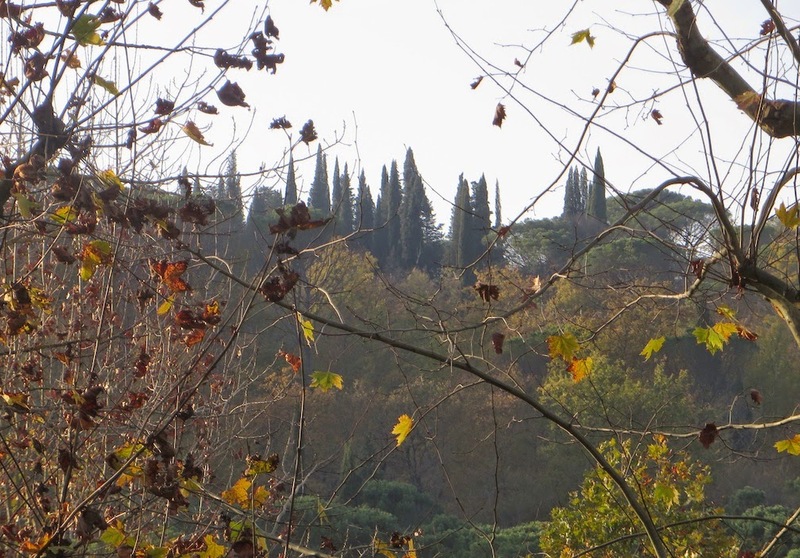 Villa Strozzi, the Limonaia (lemon greenhouse) Firenze. My booth as one entered the room. There was a great turnout at the Japanese festival and I was happy with the interest and flow for most of the weekend. I was set up next to a large photographic exhibit of Japan, but also next to the stage where the music, dance, and Taiko drumming took place. 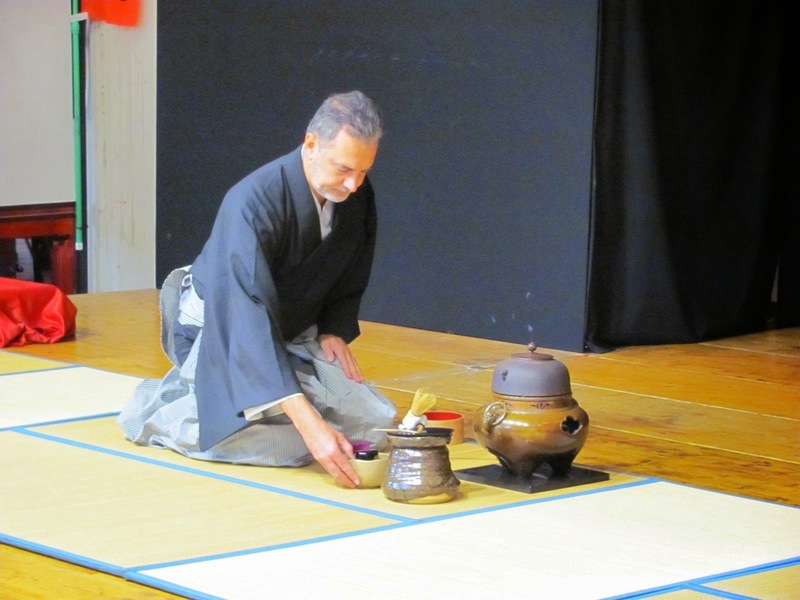 The day started with a demonstration of the Japanese tea ceremony (a different version each day), and then there would be music, drums, and a show of how to wear a kimono/yukata/furisode/etc as well as musical performances repeated during the day. There was an Origami section. A calligraphy corner and a whole section dedicated to Etagami. Like last year they were recruiting people to join the etagami exchange. The flow of visitors would pick up quickly so by 11: 30-noon the building would be pretty full. There were couples, children, people with dogs, undeterred by the pouring rain. I was placed towards the back, but well-visible from the entrance and the I had a striking Ukiyo print of a young beauty (bijin) which was easily visible from across the room. My explanatory sheets tacked to the table where they could be easily read. panels behind me and I had prepared some Plywood panels, gluing Japanese paper to them. But I found the tables fairly deep and with the panels behind me the sheets I had prepared were too hard to read. So I changed things around, putting my 10 informational sheets to the front of the tables (tacked down) and setting up my green panels behind me. I added screws to the panels so I could hang my framed work and the Ukiyo-prints I had brought with me. In the end, this worked out better as when there were performances, I couldn't really speak, but people could watch me carving or printing and there were written explanations of what I was doing in front of me that I could point to and that they could read on their own. The morning light was perfect for carving so I would get in about 9:30am and set up and start carving. Visitors would start at 11am and I would carve until about 1pm. The Taiko drummers would kick in about 11:30 am which would energize my carving and I can blame some of the cutting errors to the pounding beat of the Taiko drums. Do you think there's enough to look at? Morning carving. The "sharkskin" was a great conversation starter. In the afternoon I would switch to printing and I had a wet pack and a stack of paper to print on in various stages during the rest of the afternoon and evening. Meanwhile, on the main stage there were tea ceremonies, kimono-dressing demo, Taiko drumming, and a Japanese dance group that was very percussive. Then, music and dance from Mangushaka, a performing group that came from Japan to showcase traditional and contemporary Japanese dance. As folks strolled by my table, they would usually stop and read some of my pamphlets and watch me work. There were a few artists, a few art students, a collector, some retired lithographers or other practitioners of the print trade. The printers would all watch me for a long while. The look on their faces showing that something seemed unclear or out of place. We'd chat for a bit and I'd answer one or two questions (usually regarding registration of the paper) and they'd immediately "get it" and then either smile at how elegant and simple it was, or shake their heads at how laborious and complicated. The Ukiyo-e prints I had up would have entailed 20+ blocks and many more impressions. 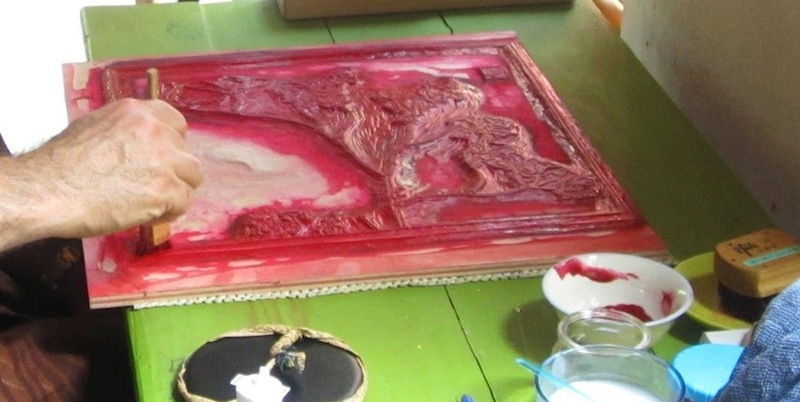 In fact the most useful part of my demonstrations was being able to show how the antique prints had been made. 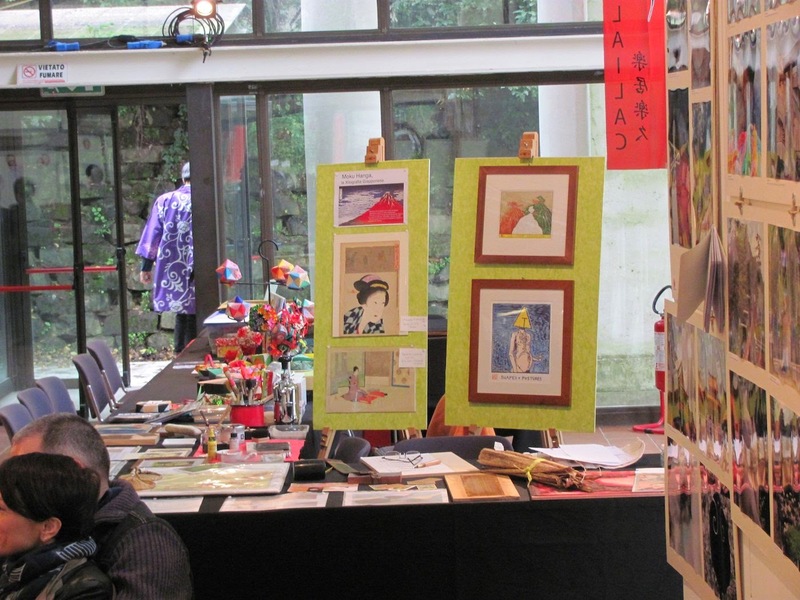 Having a printing station right next to old Ukiyo-e Japanese woodblocks really drove the point home. These were/are woodblock prints, and they were printed using these simple techniques that I use for my own art but during the Edo era, pushed by trained artisans to create works of stunning mastery and beauty. 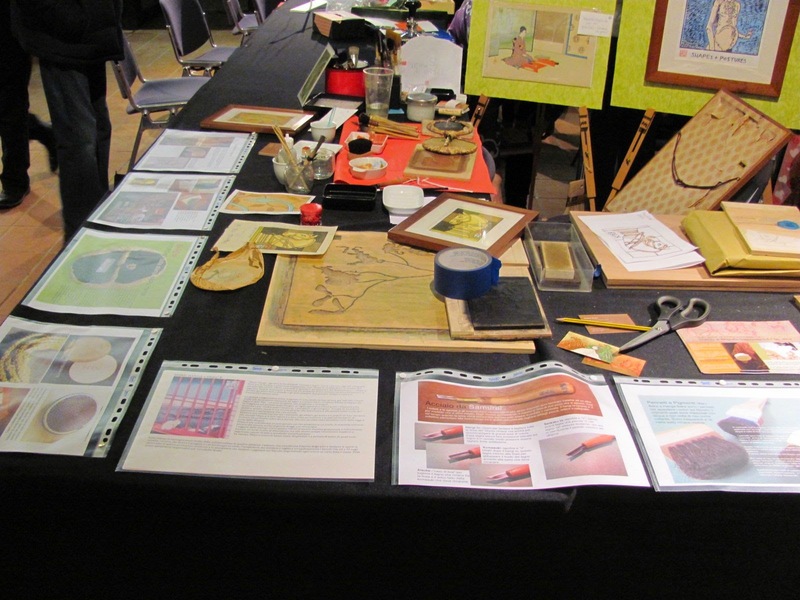 I had nothing for sale so I can't judge the success of the weekend by sales figures or promises of future commissions, but I got some great comments, lots of interesting questions, and the satisfaction of getting to share the art of moku hanga/woodblock printing to the Florence community. I did, however, have many of my work on display, and I handed out business cards and flyers for my upcoming class. 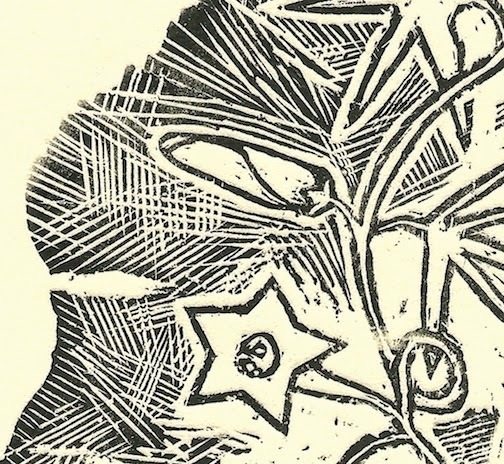 Well, I was casually, and then a little more pointedly, and now I am frantically preparing for my demonstration this weekend of moku hanga printmaking. It's THREE days, from 11am to 8pm and I'm there for all of it. I know the subject will be a success, the process of moku hanga is fascinating to watch...most people have done linoleum prints in their youth or have seen rubber stamps so they get the general concept, but as practiced to produce multicolor prints it is always a bit confusing to watch--it seems almost like magic. My concern is that I'm not an expert and I'm a little uncomfortable pretending to be an authority. 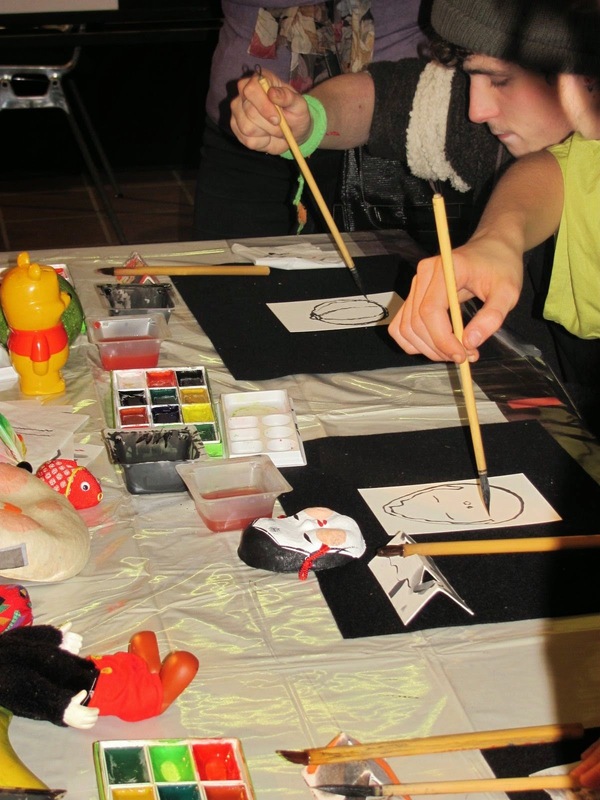 It's a Japanese cultural fair and usually very well-run and attended and there will be people there who are experts in all things Japanese. Members of the local Japanese community will be there as well as many Italian locals interested in Japanese and Asian culture, sport or food. Certainly there will be collectors of Japanese art and a few practitioners of Calligraphy (there's an excellent school here in Florence). So while I'll have a section behind me with a panel briefly discussing the history of moku hanga and Ukiyo-e prints, I've decided to be deliberately very brief--and I'll direct serious inquiries to better informed resources. 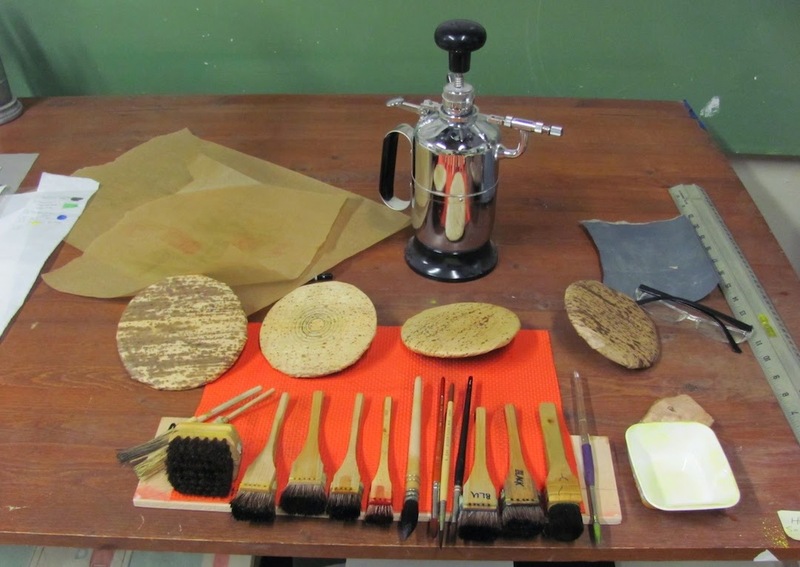 Most of what I've prepared explains the craft: the tools, paper, brushes and technique that go into making a print. It's what I do know reasonably well and can talk about and demonstrate effectively. My plan is to have some illustrative panels set up behind explaining the tools and steps and with some examples of traditional Ukiyo-e and sosuka hanga prints (as well as a few of my own). On the table(s) I'll have blocks and prints in sleeves, bamboo leaves, barens, jars of pigment etc. I'm starting a new print just for the exhibit and I'll be carving the keyblock and color blocks in the morning. 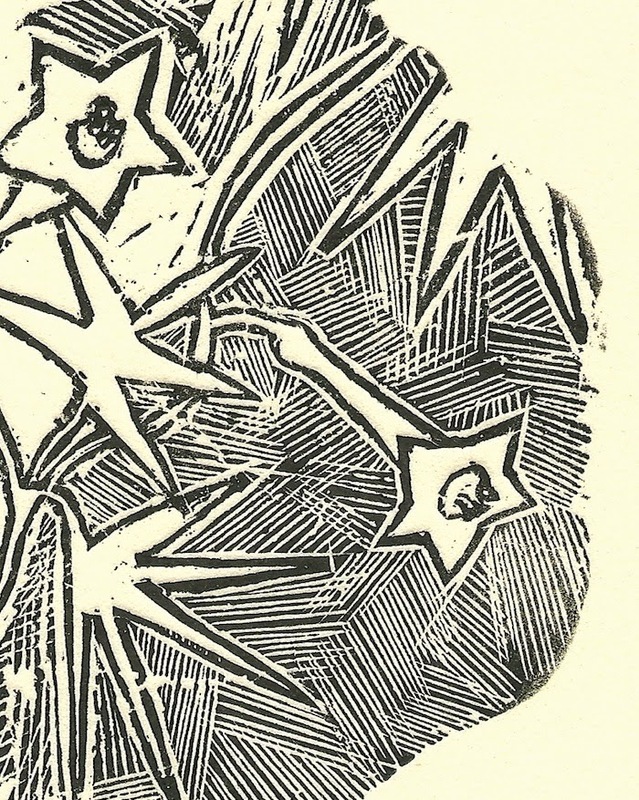 Then I'll switch to printing and try several 1-2 hour blocks of printing working from blocks and prints I have already carved (I'm low on a few prints and I'll be printing them there). Meanwhile, I hope to be able to chat while I'm working--explaining the process illustrated both in the photos behind me and on the bench before me. Hopefully I'll be able to get far enough on the new work to be able to print it on the third day as the final demonstration. This year, I won't just be attending. 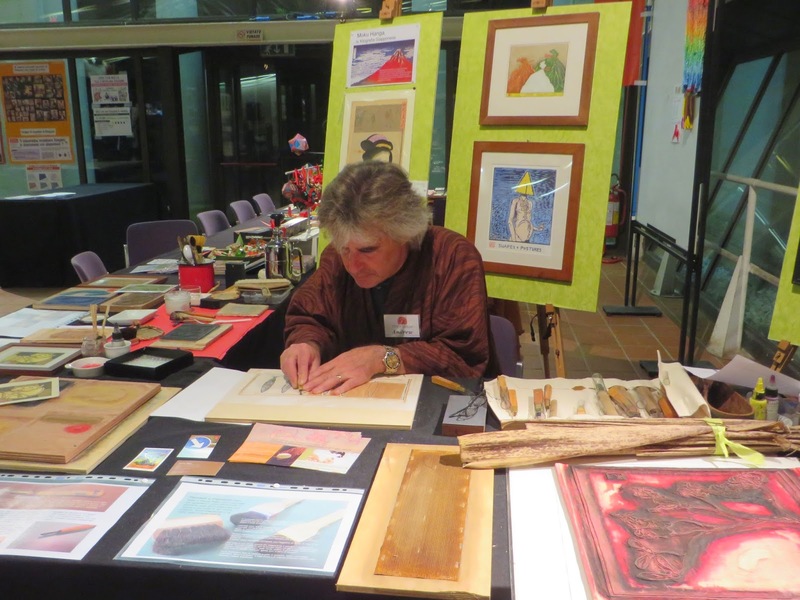 I will be demonstrating the craft of Japanese woodblock printing (moku hanga) at this year's Festival of Japanese Arts and Culture hosted by Lailac. November 14,15,16 just two weeks away. 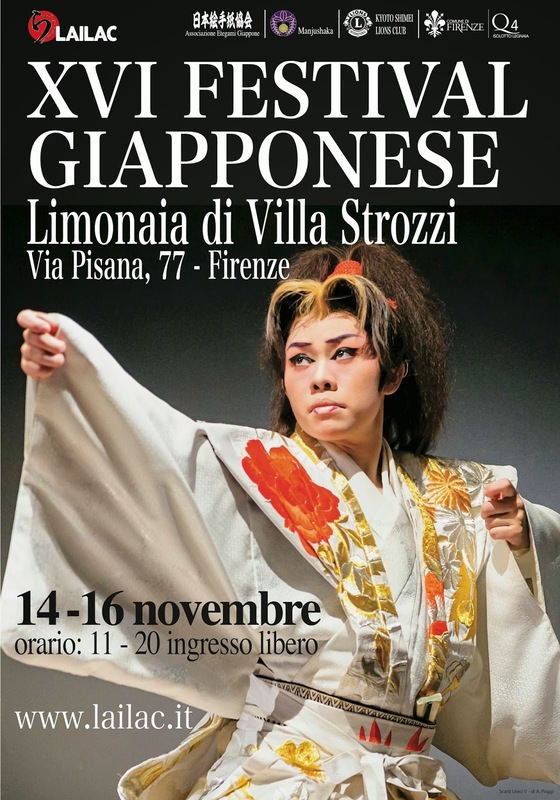 Set in the lovely Limonaia di Villa Strozzi, a magnificent stone greenhouse originally built to house the Villa's lemon trees in the winter; this November it will host a kaleidoscope of Japanese culture. 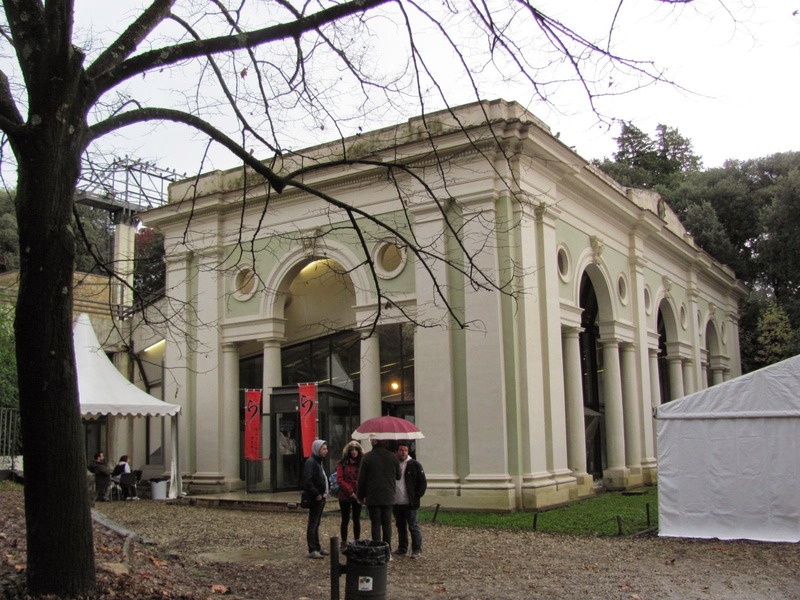 Inside the Limonaia there is a stage and there will be music, demonstrations of kimono, the Japanese tea ceremony, aikido, Taiko, and much more. 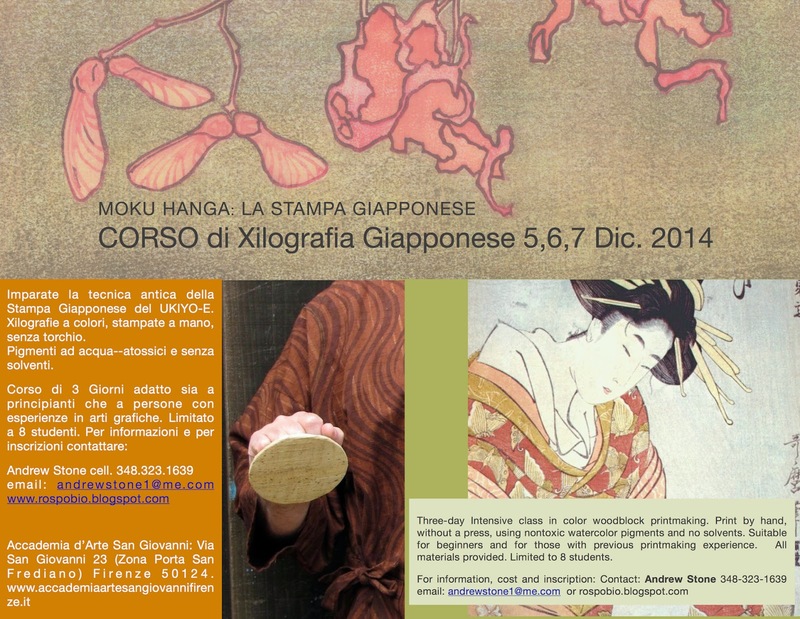 Meanwhile surrounding the stage are areas dedicated to Etagami, Origami, Calligraphy, and yes, Moku Hanga. Outside there is a tented area with more crafts, painted silk, food vendors and offering hard-to-find Japanese cooking tools and ingredients. It's a lovely event, well-attended and it's where I joined the Japanese Etagami Society's etagami exchange last year. 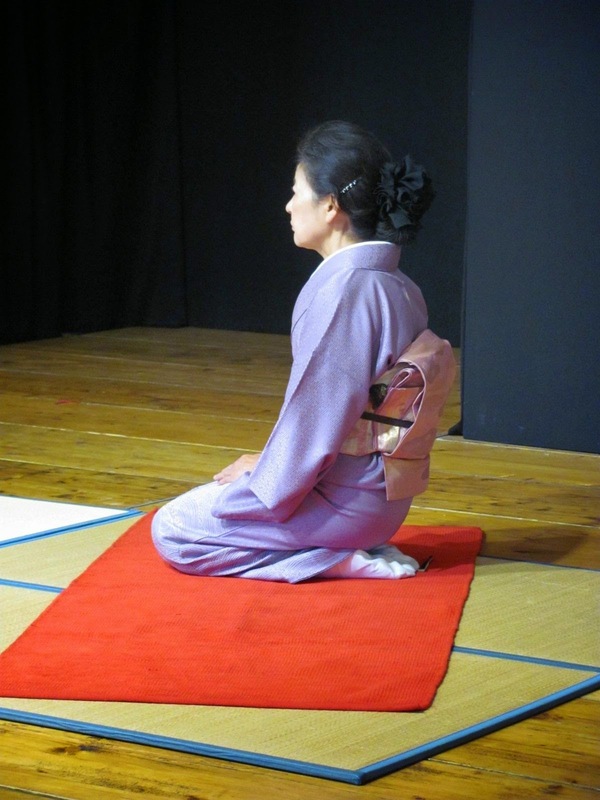 They will again be sending 8-10 members from Japan who will be hosting a set of tables to teach and permit visitors how to make etagami (and enrolling interested participants in the exchange). 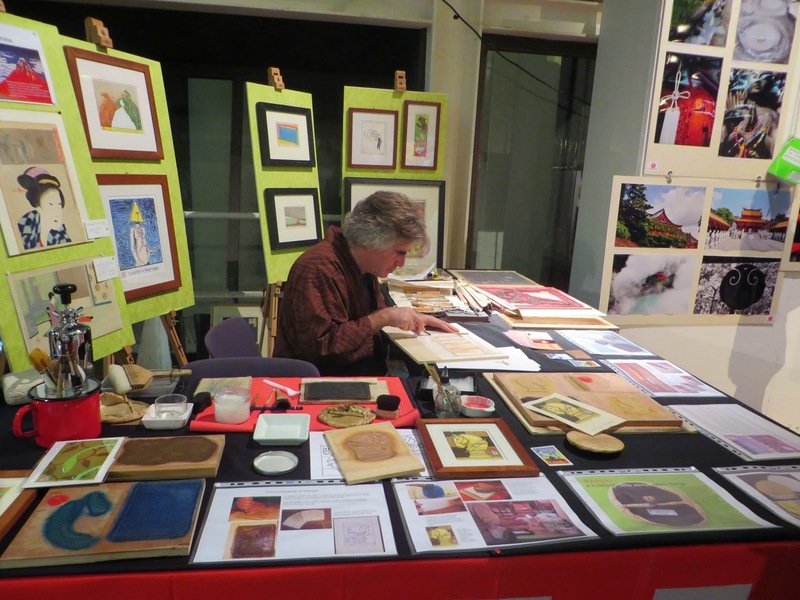 I will be manning the Moku Hanga Table inside and will have a display of tools, blocks, prints, and descriptions of the process. 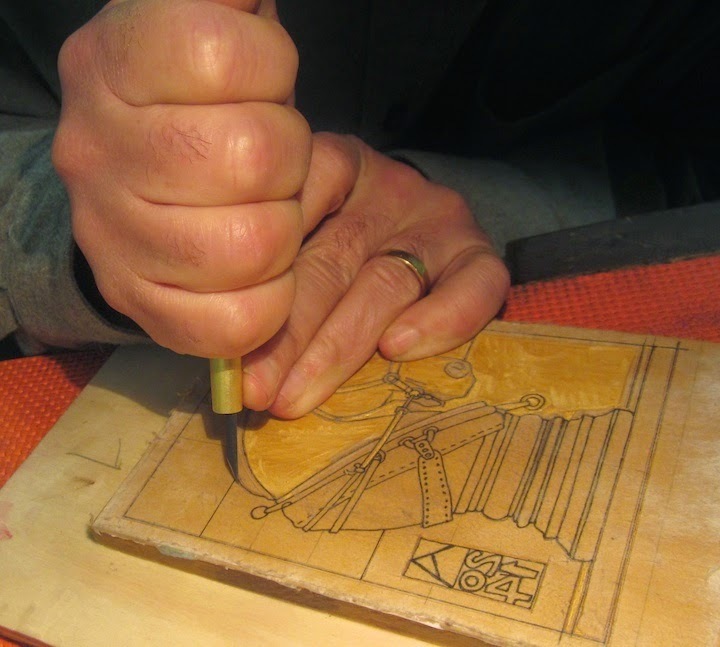 In addition to demonstrating the carving and printing, I will have carved blocks, sample tools--barens and brushes, I will be bringing some original antique and vintage Japanese woodblock prints in addition to a handful of my own works to display. I will be carving in the mornings and then try to run several printing demonstrations in the afternoon until closing--as the attraction of moku hanga for non-artists is the printing phase---the magic moment of pulling the paper off the block and seeing the impressed image. I am hoping?? to start and finish a small, new print during the fair but we'll see how much work I can actually do as I expect I'll be spending a lot of time explaining. So if you're in Florence, Nov 14, 15, 16th or close enough to come visit, I'll be in the Limonaia at Palazzo Strozzi 11a-8pm. Come say hi! 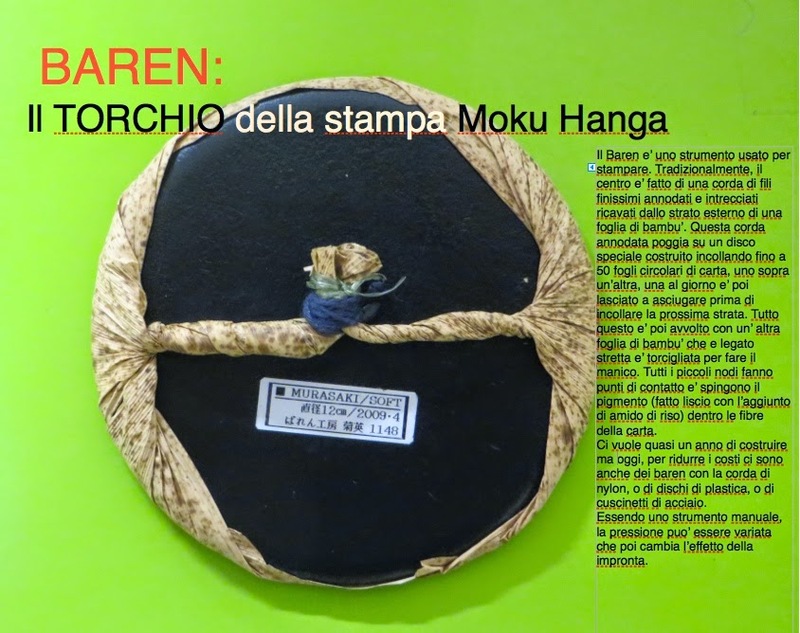 Moku Hanga Class Flyer (Italian Version). During my demonstration in two weeks at the LAILAC Japanese festival, I'll have these available for interested onlookers. 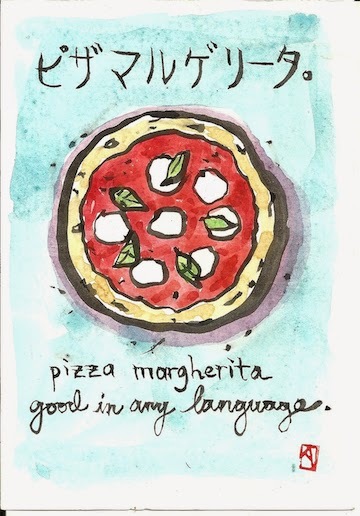 Pizza Margherita, etagami-sumi and watercolor on postcard washi. The Blogspot Visit counter says that as of this writing I have 49,317 visits since I started writing here in 2008. With about 100 visits a day, I should be reaching 50,000 visits to this site in less than a week. Ironically, for an Art--(and sometimes farming)-- blog, half of all visits are for the posts dealing with my home-made, adobe/cob pizza oven. Food trumps Art. Or at least Pizza trumps Art. Pizza Margherita; roma tomatos, mozzarella (should be buffalo milk) and basil--thin crust and baked in a wood-fired oven. I will be giving it away to a random visitor to my blog between now and the day I hit 50K. To be eligible you must leave a comment here and I will randomly select the winner and mail this etagami to the Lucky recipient. I'm still just messing around with some off-cuts of dead wood from the fields. I have one of the olive branches from several posts ago that was dry enough to work on my engraving. 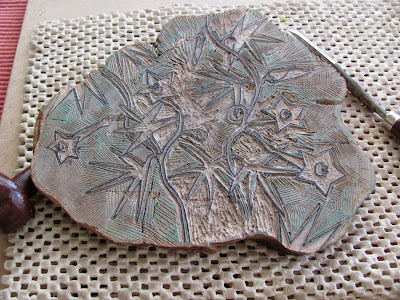 I'm still learning how to hold the tool properly and getting a feel for how the different tools create varying lines--but mostly I'm learning how to control the tool held almost horizontally to the wood surface instead of almost vertically as with the hangi-toh that I use during the moku hanga carving I do. 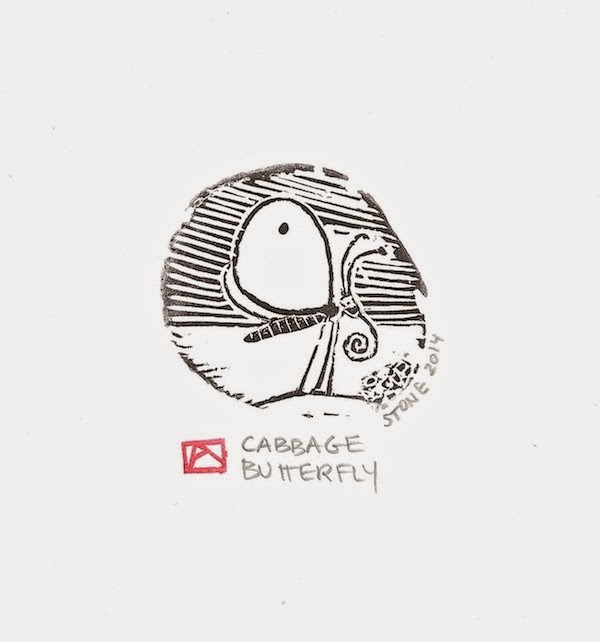 This was based on a simple doodle of the cabbage butterfly. The drawing was bigger and more decorative so for this small round I just sketched out the butterfly and a flowering twig. 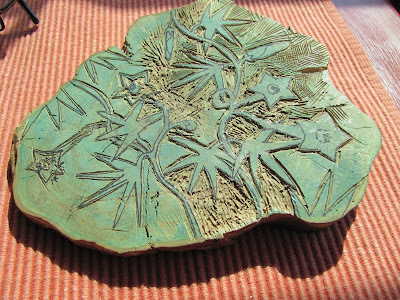 The olive was harder to carve than the boxwood from my cardinal creeper print and my rough handling shows. I couldn't find any relief ink--Rigacci--THE local art store has "stopped carrying it" so all I had was a tube of Charbonnel etching ink. It was too soft to properly roll out and it didn't print well. It was too soft so filled the lines and then wasn't tacky enough to hold the dampened paper down and a bunch shifted as I was printing and had to be thrown. 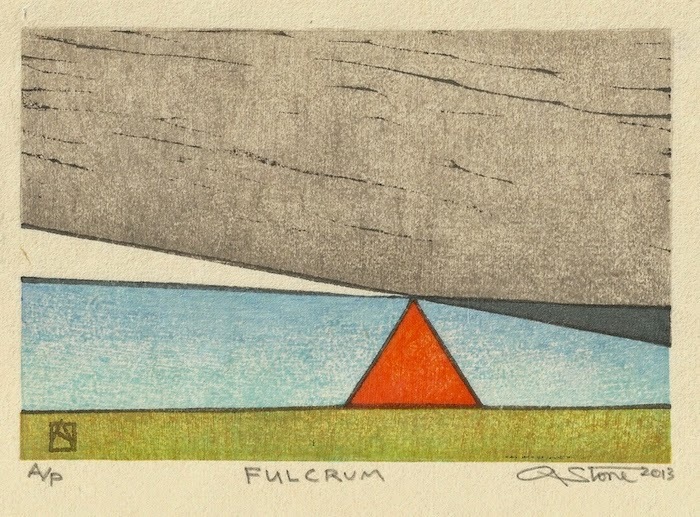 I had 4-5 mediocre prints of which this was one of the best....(and it is still poorly printed--too much ink and poor impression to the margins). Another, on Italian etching paper, didn't want to sit still and I ended up printing with too little pressure for fear of it shifting. 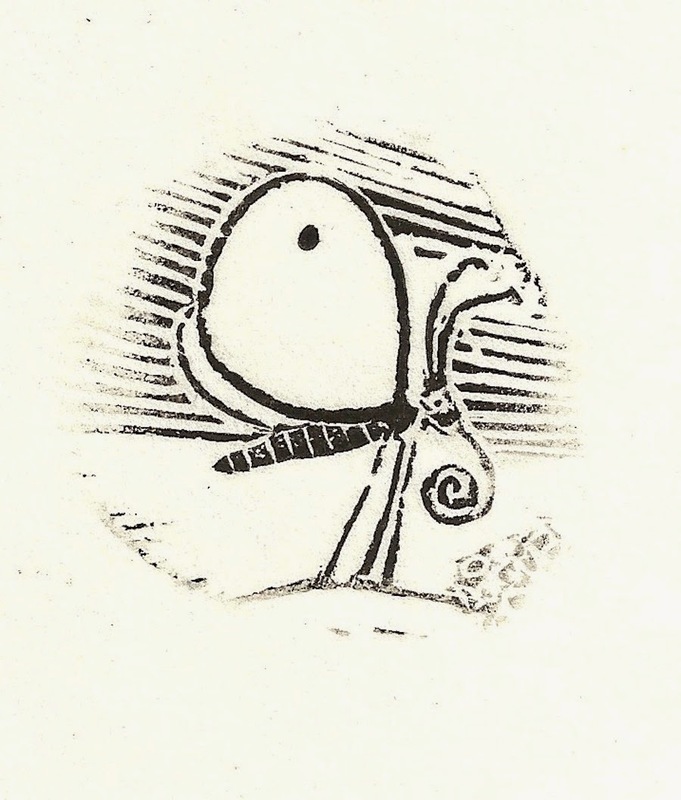 This is on Magnani etching paper...too weak an impression with the baren. it made a nice little birthday card for my mother-in-law who turned 89 yesterday. 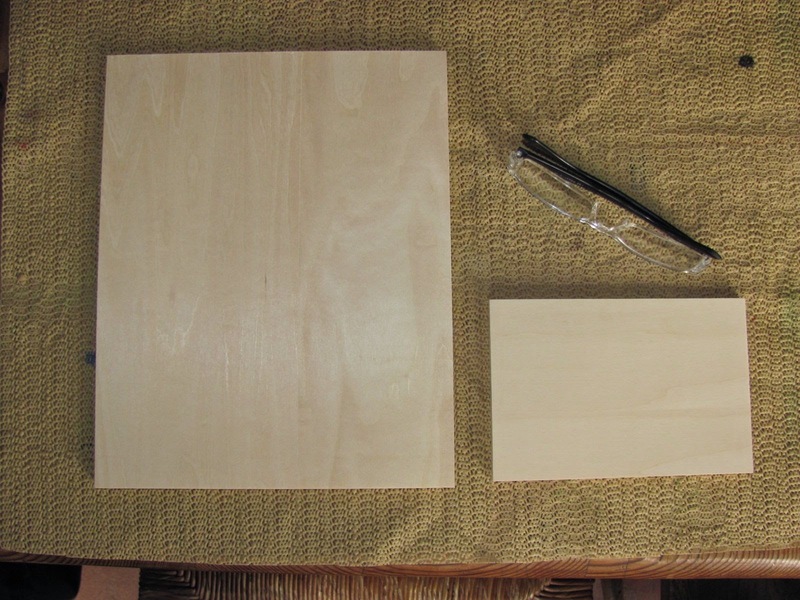 I've been hesitant to break out the good wood, but it's time to try something a little better and bigger....but I have a few moku hanga projects first so stay tuned (if you were ever tuned.....). 18"x20", e.v. of 10 on various Japanese papers. 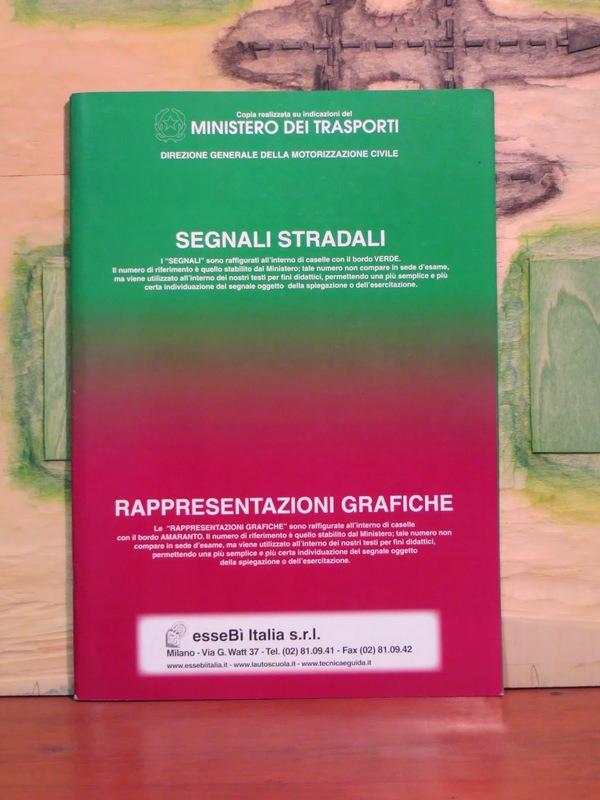 During one of my longer sojourns in Italy (lasting 8 years), I became officially an Italian resident and that meant that I had to get an Italian driver's license. But in Italy, that is more complicated than it is in the US where one used to be able to just show up and take the test. 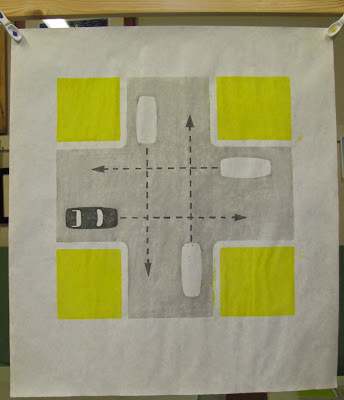 For despite my maturity and long history of safe, cautious driving--I had to go to back to driving school. 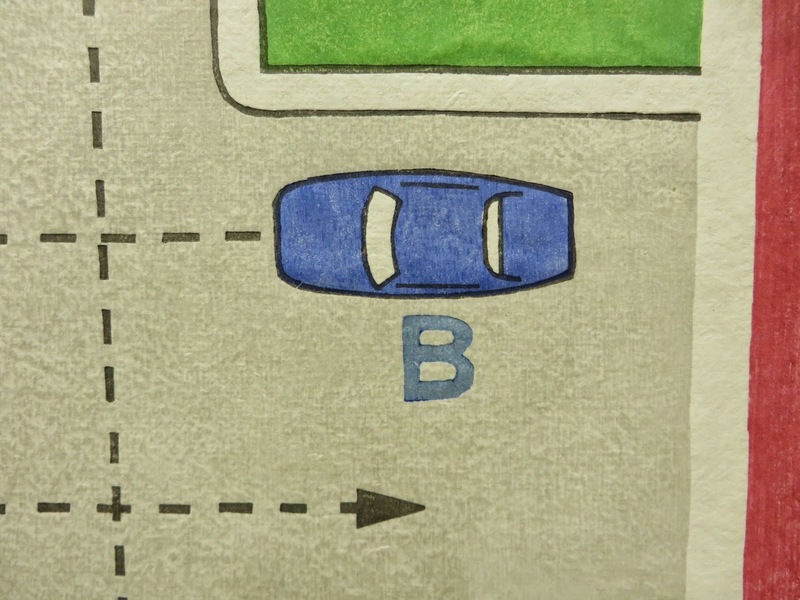 It's a month-long class, twice a week, and the instructors will accompany you to the exam and then again later during the actual driving test. The school will also facilitate the medical exam and subsequent documentation needed to obtain an license. 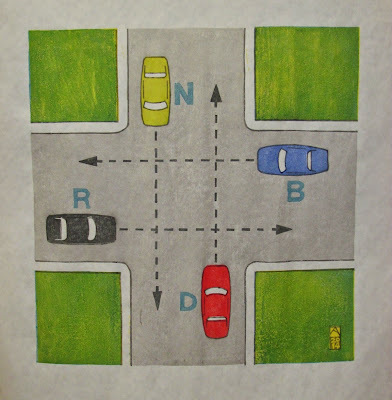 There is a written, multiple choice exam; followed by a driving test and I'd learned that most people go to a driving school to prepare and aide them with the test. The teachers are usually chain smokers and the school is full of an odd collection of people who you'd hate to see actually driving. 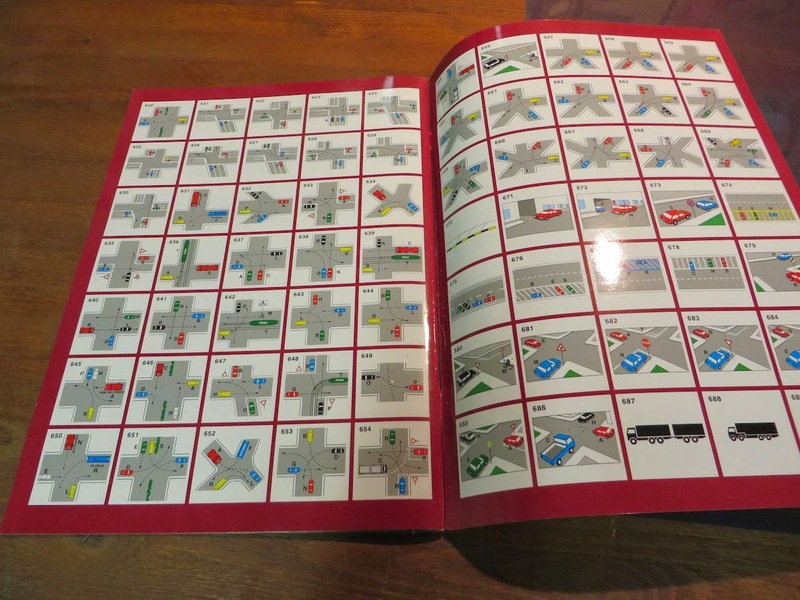 And not surprisingly, the things you learn in Italian driving school bear little resemblance to the daily habits of real Florentine drivers. 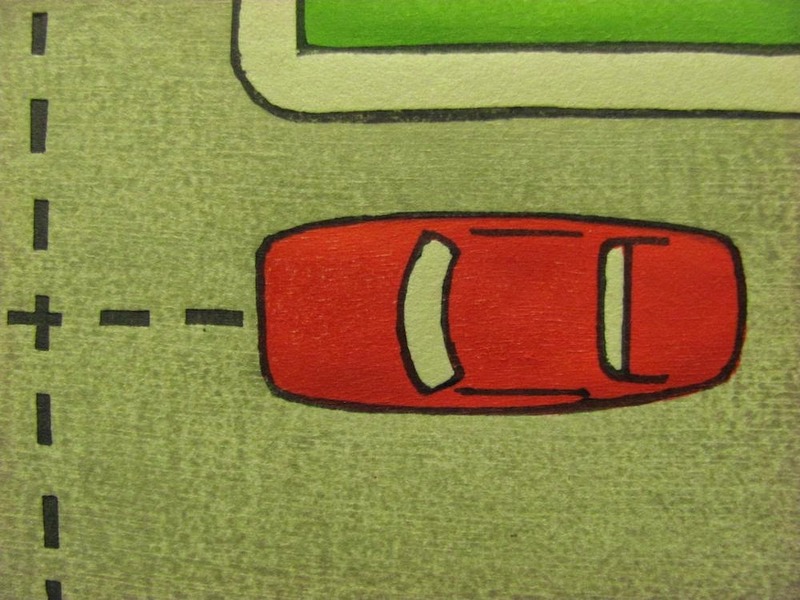 Getting to school, I'd be one of four cars abreast, crammed into one lane, but then sit in class listening to how many cars are supposed to be in each lane (One). I had an acquaintance, another artist and an American, who thought that if he just got the book, read it and studied--he'd be able to pass both the written and oral exams. When he got to the exam they asked him where he had taken his driving classes. When he replied he had studied at home alone from the book, they would scowl, ask him an odd or unusual question-- and fail him. After two tries he ended up enrolling in a driving school--and had no trouble passing both the written and practical exams. 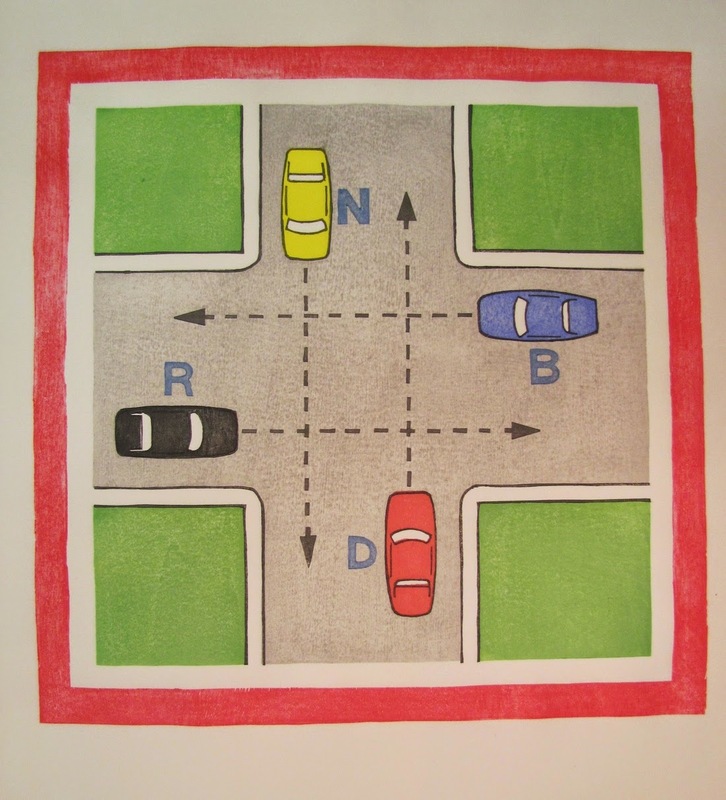 So when it was my turn, I just signed up for a class at a driving school in my neighborhood. I'd learned enough Italian by then to be nearly fluent so I elected to take the written exam (the one used for Italians), rather than the oral exam for foreigners where I knew I'd be at risk of anti-American bias....besides, I'd also gone to medical school....so multiple-choice questions-- even badly written--were a breeze for me. In my class there were 3 Filipino nuns, the aide who rode my son's school bus to elementary school, a handful of nervous 20-year olds who had already taken, and failed, the exam a couple of times, and 2-3 middle aged folks who had never gotten a license out of fear of test-taking, or just of driving. I spent time learning how many axles are allowed on trucks while driving on secondary roads both in and outside the city limits, how potent a motor was allowed on mopeds and motorcycles, at what age one can drive a car, a tractor, a bus, or an "APE"--those odd, three-wheeled, small motored carts that putter all over town. Meanwhile, the really important questions (whether or not you can park illegally in front of the coffee bar, next to the three police cars that are parked on the sidewalk, or whether I have to wait till they leave or why there is ALWAYS a car parked under the sign that says "NO Parking anytime-tow away zone"?) were not discussed. 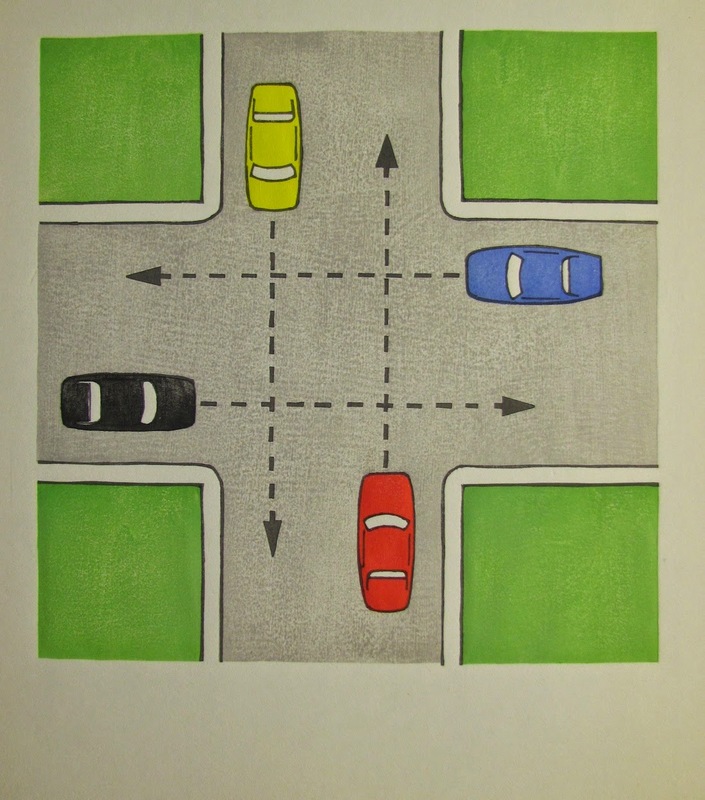 So this print is based on the driving exam one has to take in Italy. It comes directly from the handbook of signs and rules that they give you when you sign up for the class. There are about a dozen of these diagrams illustrating the right-of-way, some obvious, others less so. 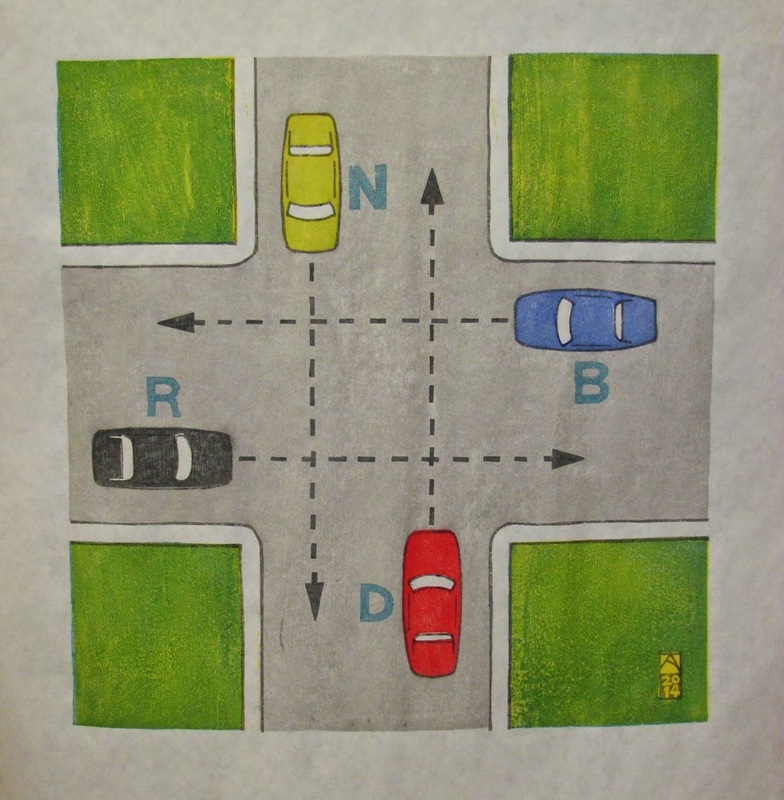 "Who has the right of way when four cars arrive simultaneously at an intersection--and how do you proceed?" I'm near the end and that's a good thing as with each new block and layer, I like this less and less. Yesterday, I got rid of the chop and added the letters---a pthalo-blue/indanthrone mix, diluted with rice paste. Today, after a lot of misgiving, I added the red border (two passes: first a magenta, followed by a more amaranth-red). As I expected, the bold red changes everything. Now I'm not so sure about the green....but if I darken the green, I'll need to deepen the gray.....and if I deepen the gray, it will cover the letters. So I stared at it for a long while and then just put them back in the damp pack, deciding to mull it over until tomorrow. I need to finish as it's time to move on and these have been sitting in a damp pack for almost a week and I don't want them to go moldy on me. ( I added a little formalin to the damp pack since these are too big for the fridge). I planted edamame (green soybeans) in the garden before I left Italy this Summer because we like to eat them and they're hard to find here. But we were delayed coming back, so instead of finding 4 long rows of plump, green pods, the beans were already too mature--turning tan and rough. 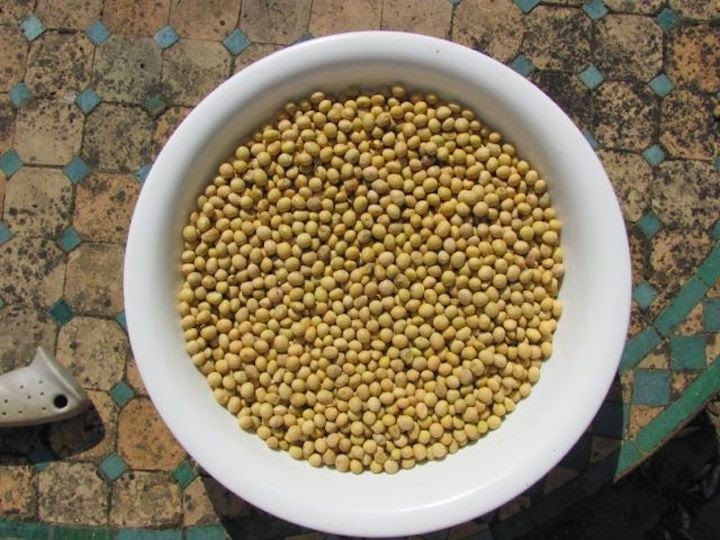 I crawled about at the bases as a few plants in the shade hid a few green pods--and these we ate that night, steamed and salted--a simple treat made exotic by the local scarcity. But the rest I let dry in the field...and these will hold until next summer. 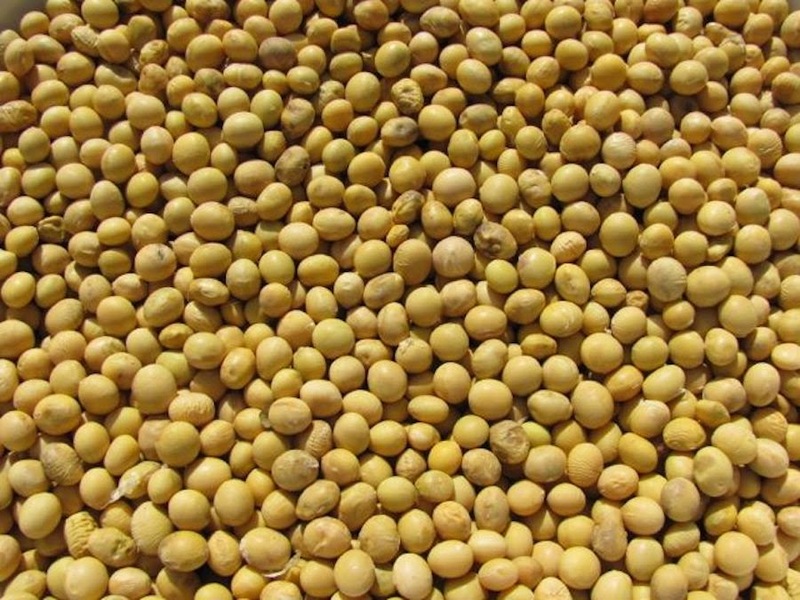 Since these are organic, non-GMO soybeans specifically bred for edamame production.... the seeds are more valuable as next year's crop than as this week's dinner. This is moving along, but it's getting a little chaotic. I printed all four cars at once so that meant four brushes and four pots of color. One car (and sometimes, two) had to be printed twice so I'd lift that corner, rebrush pigment and print again without moving the whole sheet. It's also a big sheet: 18" x 20", so I'm using a carry sheet of acetate to carry the damp paper to the inked plate; then replacing that with a thinner sheet of oiled paper to allow me to burnish vigorously without damaging the backs of some of the more delicate papers. On the really thick papers (85-110g/m2), I'm using the ball-bearing baren to start with the protective sheet. Then taking that off and hitting spots with the heavy Murasaki baren. But on the thinner papers (39g/m2), I'm using just the medium baren. I'm definitely getting a work-out and I'll need to change the baren covers on a few of these once I finish with this print run. I've two more blocks and maybe 2-3 more impressions to go. One is a big colored border around the whole image...I've been putting it off as I'm not sure it's going to work. But first, I need to mix up a new batch of paste. Well, I'm back at work in the studio for the first time in almost three months. I started working on this print last April and I had hoped to finish it before the Summer arrived and I left for the USA. But it's bigger than I usually work (about 20" x 22") and just dealing with the paper-- using a carry sheet to move the damp paper safely to and from the damp pack to the block combined with the process of carefully inking and printing from the big blocks just takes longer and I didn't want to be rushed. I pulled just a quick proof before leaving, and saw that I had a fair amount of work still to do with the blocks, so I put them away for later. While I can't say I'm totally free to jump right back into the studio full-time, I did manage to dampen some paper and work a few hours each of the last few days to pull some proper proofs on student-grade washi. As is typical for my working style, I'm still making decisions as I go along and I'm glad now that I left the printing for when I came back. There are still some decisions to make and some changes the blocks will need to get this where I want it to go and make sure they're printing cleanly before I use my good paper. Hopefully in the next week or so I'll be able to focus and concentrate on making it right, instead of just "done". 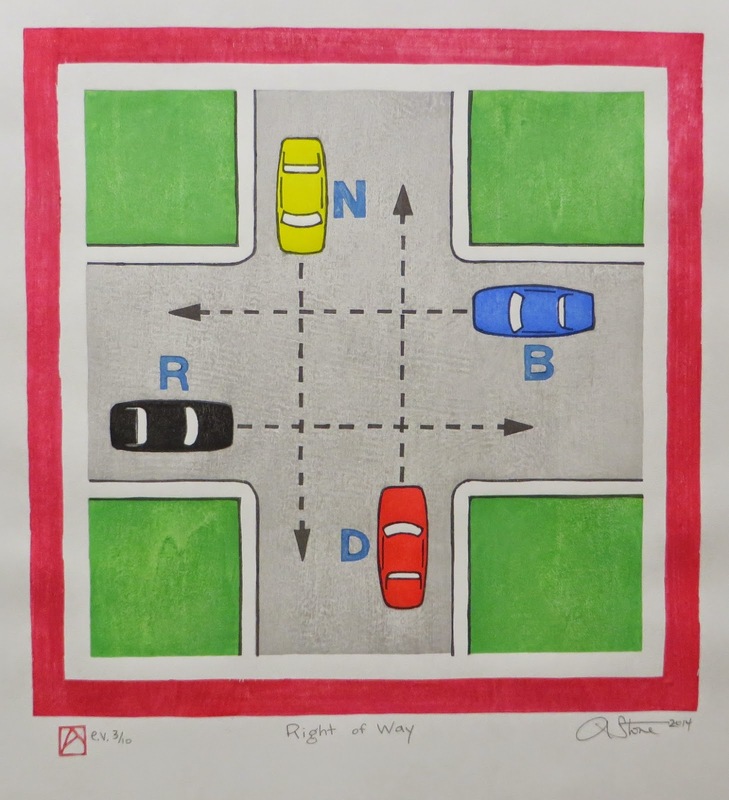 "Right of Way", proof state. 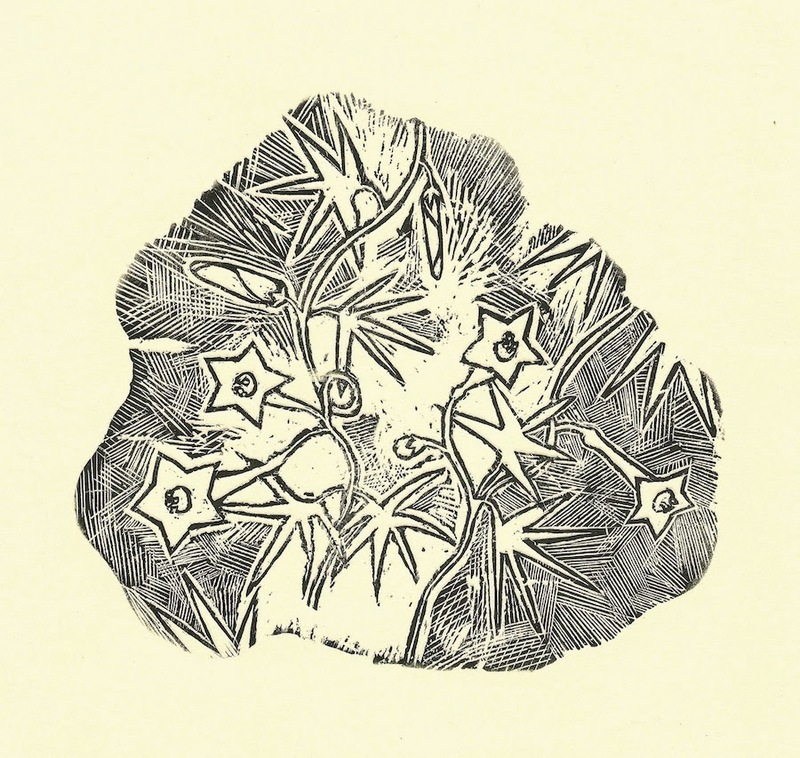 Moku hanga woodblock print. This still needs about 3-4 passes of color and I have to tweak the registration a bit....and there's a big colored border that will change the look a lot. This thing, or one of his relatives showed up for the first time last Fall. It had just finished munching all of the new flower/leaf buds of a small plum tree that we had just planted. 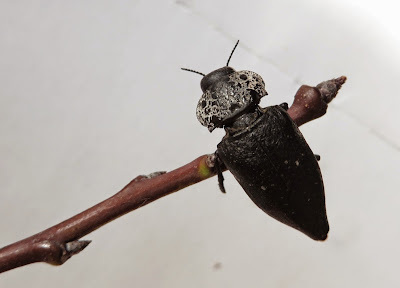 This is a borer beetle and while it's the grub that does the most damage (and is really, really nasty to look at), I'd never seen an adult on the property.....and once I saw one, and started looking around...there were dozens. 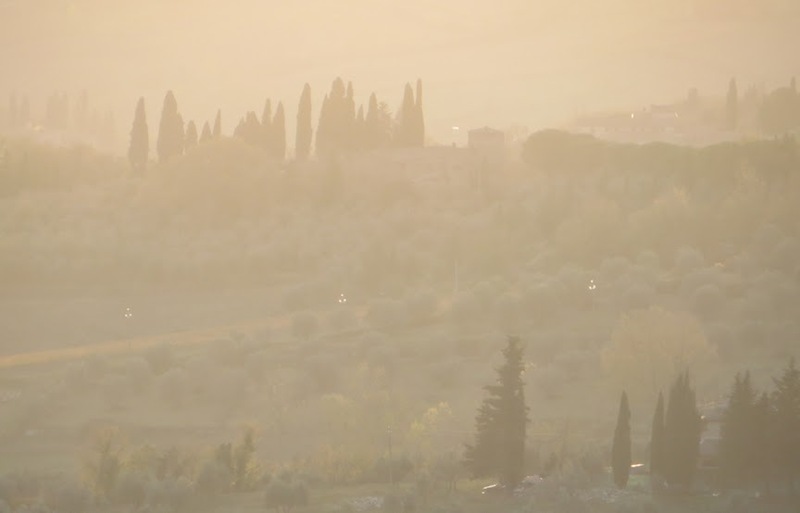 On all of the plums and many of the pears and as they strip off all of the cambium and new bark of the new shoots skeletonizing the newer growth and branches.....and on smallish trees that means no flowers and no fruit. Sorry, I know that that's probably not cool or morally sound in the "BIG" picture but on our little farm I won't use insecticides on my organic fruit trees but I'm not above basic control methods (hunt and eliminate) when the balance tips too far in favor of the lower orders. (If we still had chickens, they'd help keep them in check). This is my September Etagami for my Japanese Etagami exchange. You can see the kind of damage they do in the eroded tip of the branch. 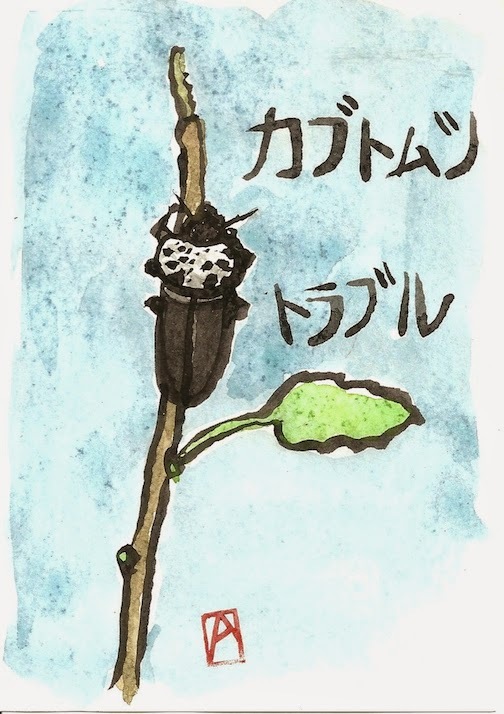 It reads, "Beetle Trouble" in Japanese. 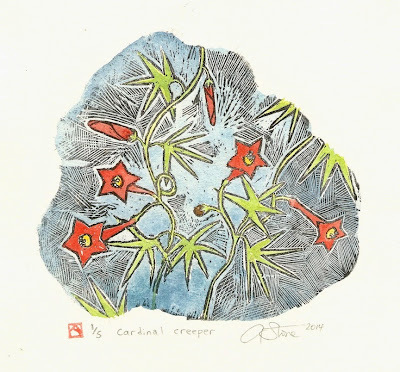 Cardinal Creeper, wood engraving and watercolor; 8"x8". About a year ago, I was walking home from the clinic on one of my last shifts of the Summer. I noted a neighbor had almost finished taking out a boxwood hedge. The tops had been sawn off and they were trying to dig and pry out the stumps and roots. 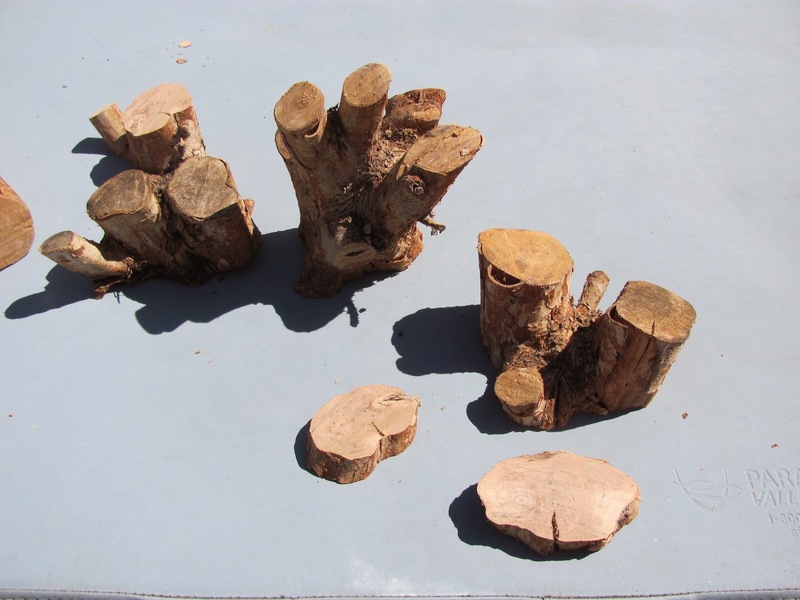 My first thought was whether any could be salvaged for Bonsai....Boxwood takes forever to grow and an abandoned plant would be perfect....but these had been too badly damaged. But I asked the owner if I could grab a few pieces.....I heard boxwood was ideally suited for wood engraving....and I'd never tried it as it's become too hard to find endgrain blocks and too expensive to have them made....but I could saw off the end of a stump and these would cost only my labor. I came back with a box, threw in the fattest trunks and took them home. I didn't have time to properly treat them; but I put half in my mildly damp studio and the others I put under the Pizza oven/which was covered with a tarp. I hoped in my year away that they would dry....and not crack too badly. This Summer, I've been too busy with house works and other health issues to really do any artwork. But I did have time to pull out the stumps and survey the wood. Most of the big pieces had checked (cracked) rather badly.....but I sawed off a few rounds........I sanded a couple smooth; and took the ugliest, most suited to a test carving, and continued sanding until it was glass smooth. 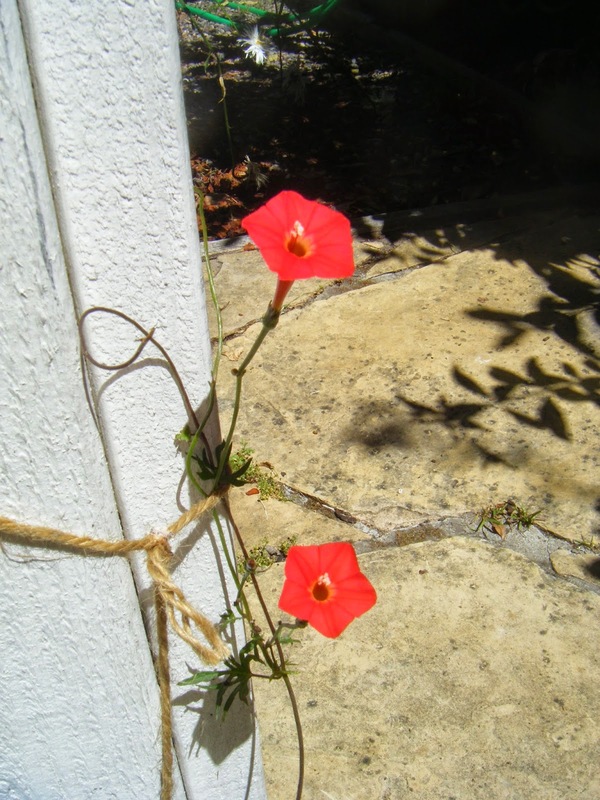 Cardinal climber or creeper (the name changes and they're not exactly the same....but it's a cross of a wild and domestic climbing morning glory). It's a great humming bird attractor and I've planted it a couple of times with little success, but last Summer my housemate Sandy got some to grow; and I took a few sketches/photos. So armed with a subject; a sketch; a wood round; and a few engraving tools I decided to give it a go. Since this will be only one block and the registration will not be an issue. I just redrew my sketch onto the smooth end. 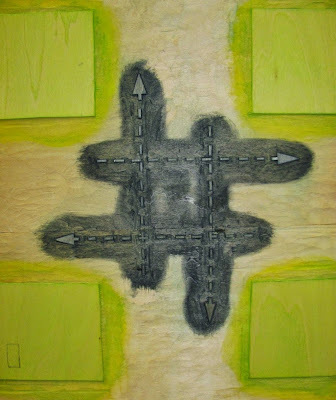 I tinted the block with a little greenish wash to help show the future cuts. It was a bit of a mess; I didn't really know how to hold or use the tint--the sharp pointed tool used to outline my shapes. Nor did the scorpers---clearing tools seem to want to obey my clumsy hands. But by the second day, I resharpened the tools, tried holding them at a shallower angle and things started to go better. And by the time I decided I was done (parts were shaggy and ragged, others clean and well-defined). This was meant to be a test and I didn't want to expend too much time and energy on an experiment. A few days later; the tools are sharper, and I'm going about it from a shallower angle. 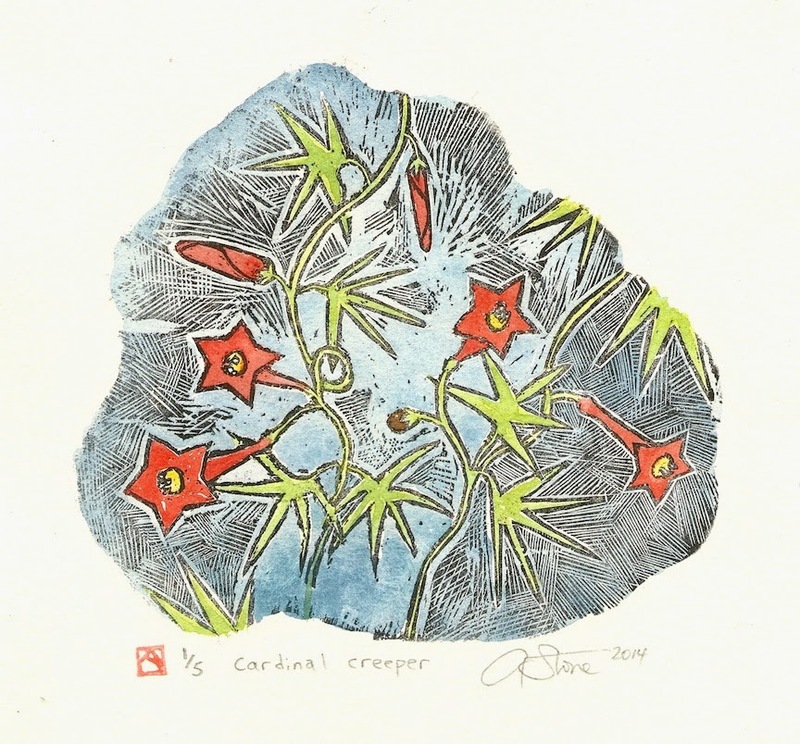 Cardinal Climber, 8"x8" on Echizen Kozo; Akua Carbon Black Intaglio ink. 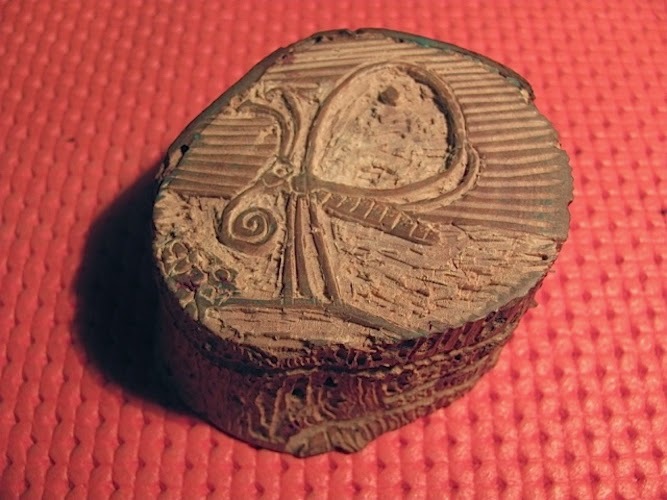 These were printed by hand using a baren. 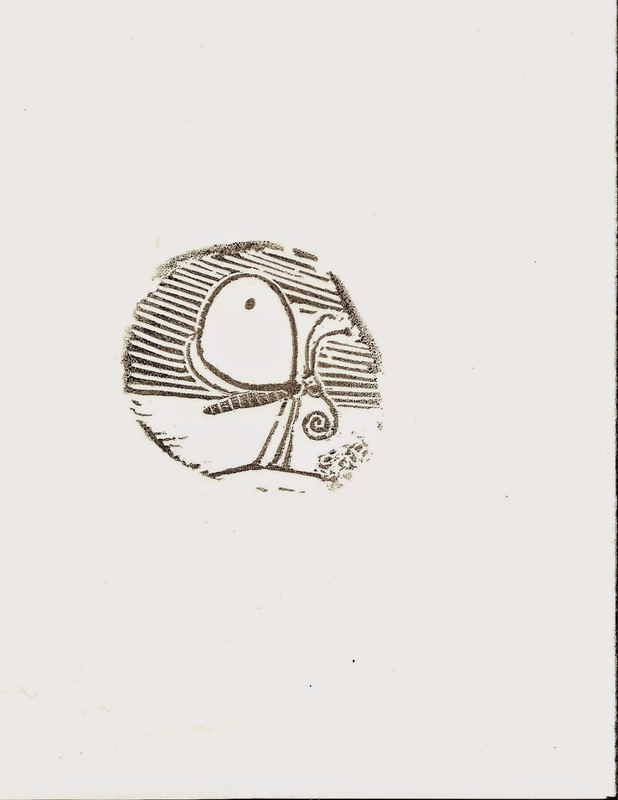 I printed a few onto a Japanese paper (echizen kozo--here) and two papers better suited for engravings and etchings. The few good, even impressions I'll leave alone. It was fun to try and the results, although crude, are appealing--I like the crisp effects the crosshatching yields, and I'm not really used to working in black and white--but I'll try to pick out a few ideas that will work well in this format and technique. I like close hand work and detail, so it's a technique I might be able to use to my advantage, once I get better at it.